underskriftsindsamling: End Captive Elephant Breeding at St. Louis Zoo! End Captive Elephant Breeding at St. Louis Zoo! We all know elephants are going extinct and it's largely humans' fault. So it may seem like the captive Asian elephant breeding at the St. Louis Zoo is a good idea. That is, until you realize that those elephants have a deadly virus among them that we cannot effectively treat. 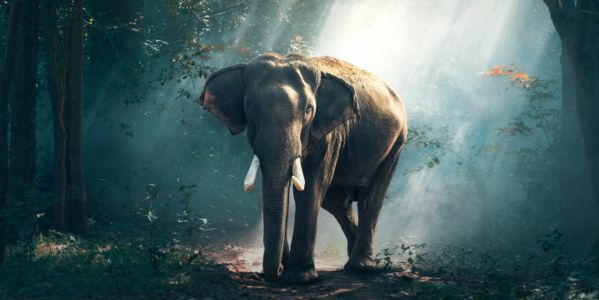 Sign now to tell the St. Louis Zoo to end their irresponsible captive breeding of Asian elephants program immediately. Kenzi was a 6-year-old Asian elephant who just died in February 2018 at the St. Louis Zoo, thanks to the endotheliotropic herpesvirus. The zoo knows that the virus attacks young elephants, those under seven. That's why it's extremely wrong for them to bring those elephants into such a dangerous environment. There are only 35,000 of these elephants world wide, but this breeding program won't help. Captive breeding is not a solution to species going extinct because sustainable growth must be accompanied by protection of habitats and that would require significant human effort and change that just isn't happening. This virus is serious. But the St. Louis Zoo is acting like it's not. But that's just because they want to keep breeding elephants in order to attract visitors and make money. There doesn't seem to be a motive in protecting the animals. Sign the petition to ask the zoo to do the ethical thing and stop their breeding program.